Dumping is a predatory practice that has long been frowned upon in international trade. It occurs when a manufacturer exports a product and sells it in the importing country below the cost of production or below the cost charged in its home market. By doing so, manufacturers expand their market share in foreign countries, often with the aim of putting some local manufacturers out of business. When dumping poses a threat to a domestic industry, countries usually enact policies to protect local manufacturing, such as significant tariffs for the relevant products. 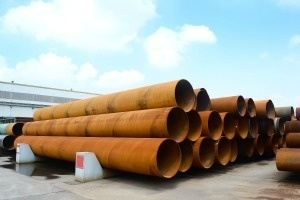 The anti-dumping discussion comes as the global steel industry and the global steel pipe industry are both experiencing massive over-supply, largely due to massive increases in output in China, which is now by far the world’s largest steel producer. Steel pipe has been particularly hard hit. The flood of low-cost imports from China coincided with the downturn in oil prices that began in mid-2014. The drop in oil prices prompted the industry to scale back both the funding available for exploration of new oil and gas resources and the construction of new wells and pipelines. The decline in demand for steel pipe for the oil and gas industry, combined with the increasing competition from imported products sold below cost, damaged the US steel industry. The steel industry proved important this election season as battleground states Ohio and Pennsylvania, both major steel producers, backed Trump in the presidential race, where his support was boosted by concerns over job loss in steel manufacturing and other industrial sectors. For example, two plants located in Lorain, Ohio, one owned by US Steel and one owned by Republic Steel, were idled in early 2016. US Steel, a leading global manufacturer of steel and steel pipe, has idled four American pipe and tubing plants since the beginning of 2016, citing trade concerns and low demand from the energy industry. For more information about the US steel and steel pipe industries, see Freedonia Focus Reports Sheet Metal: United-States and Steel Pipe: United States.